Islamabad : India on Tuesday wrote to Pakistan asking for a consular access to Indian prisoners including Kulbhushan Jadhav. It also demanded an immediate release of 10 civil prisoners lodged in jails whose nationality has been confirmed by Islamabad. Kulbhushan Jadhav was awarded a death sentence by a Pakistani military court under Pakistan Army Act-59 (PAA- 59) on charges of espionage. Amid high tension between India and Pakistan, the case was last heard at the International Court of Justice (ICJ) in February this year. India maintained that Kulbhushan is innocent. 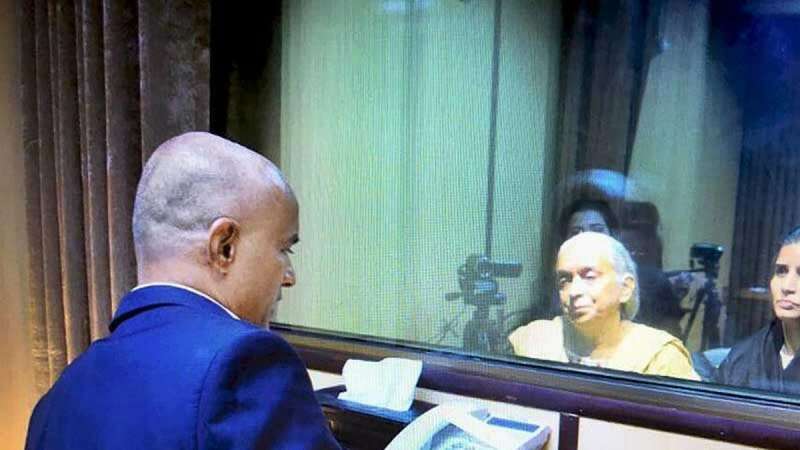 Sources have confirmed News 18 that a written note has been sent to the Pakistan High Commission regarding access to five prisoners — Mohammad Javaid, Abdul Hakeem, Muhammad Ismail, Salfikar Ali and Kulbhushan Jadhav. "Consular access for two civilian prisoners in Rawalpindi, which was postponed by the Government of Pakistan, is still pending. It is requested that immediate consular access be provided to all those prisoners and fishermen held in Pakistan’s custody and awaiting consular access," the MEA wrote. "The Government of India has been providing consular access in a timely manner to esteemed High Commission officials to their prisoners in India. However, consular access to Indian fishermen and prisoners in Pakistan jails is inordinately delayed. Such delays cause avoidable delay in confirmation of their nationality and thus detrimental to timely release of prisoners and fishermen," the MEA note said. This is not the first time India has demanded a consular access for Indian prisoners in Pakistan.